Many young animals beg for food from their elders. But, eventually, the pleading stops or the charity dries up. Joah Madden, at the University of Cambridge, UK, and his team looked to find the biological triggers that put an end to begging behaviour by studying free-ranging meerkats (Suricata suricatta) of the Kalahari Desert in South Africa over an 18-month period. 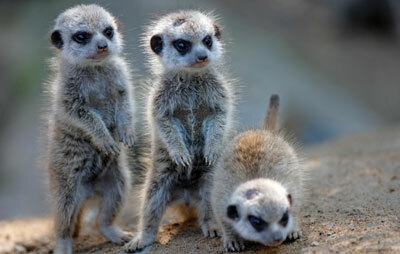 The group analysed the begging calls of meerkat pups aged between 40 and 60 days — the peak of their begging behaviour — and compared them with the calls of the same individuals aged 100–120 days. Experimental playback to adults revealed that lower-pitched juvenile calls reaped fewer rewards than the pleading of pups.